Advanced Coatings worked with WebResults to develop a new website in July 2011. We found them to be a very professional company that is hugely competent in the area of website design, web development and search engine optimization. 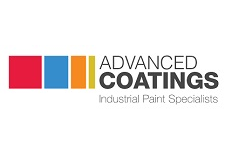 Advanced Coatings is an industrial paint company and we needed a website that would act as an information resource for our customer and prospective customers. Our requirements were that we would be able to upload large volumes of information (technical advice, product information, data sheets, paint inspection articles, etc.) onto our website and that this information would be presented in a website format that is easy to navigate. WebResults managed the development of the website from start to finish leaving us with a very user friendly website. Everything is mapped out and agreed at an early stage in the project. There are no hidden fees or hidden extras. As always we found Web Results a pleasure to deal with. The process of developing the website was extremely smooth. Sandra managed the development of our project and kept us up to speed with developments. She was an absolute pleasure to deal with and got back to us at lightning speed if we had any queries. We received a really great service. Thank you again to all the staff at WebResults, it was a pleasure to do business with you.